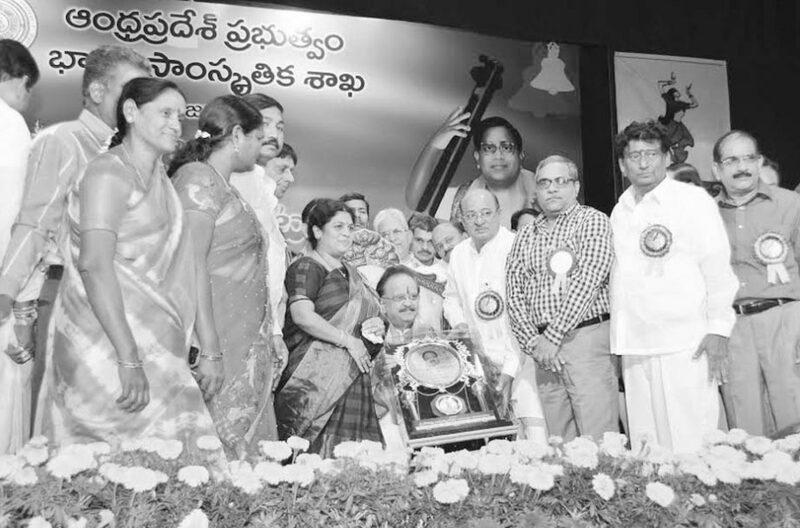 Rajahmundry: Ghantasala’s voice is a medicine, said renowned singer S P Balasubrahmanyam. He was the chief guest at the Ghantasala Aradhanotsavalu in which songs of Ghantasala were sung uninterruptedly for 24 hours by singers from across the State. This programme was organised by Kinnera Arts Theatre under the aegis of language and cultural department of the State government at Sri Venkateswara Anam Kalakendram in Rajahmundry on Saturday. Speaking on the occasion, Balasubrahmunyam recalled that Ghantasala’s voice has done immense help to careers of great actors like N T Rama Rao and Akkineni Nageswara Rao. Stating that Ghantasala is irreplaceable, he informed that Ghantasala and Mohammod Rafi are two eyes for him. Rajahmundry rural MLA Gorantla Butchaiah Choudary, City Mayor Pantam Rajani Sesha Sai, Municipal Commissioner V Vijayarama Raju and noted music director Madhavapeddi Suresh were also present.